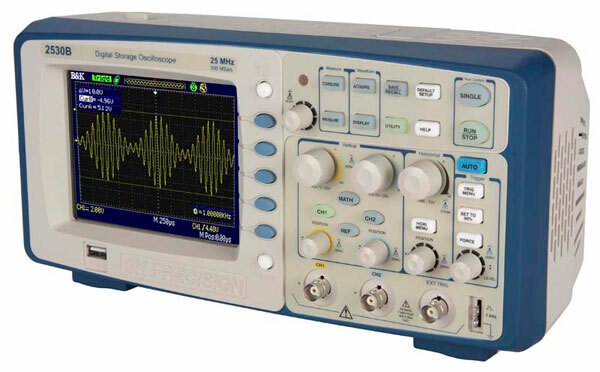 The 2530B Digital Storage Oscilloscope delivers essential features and reliable performance at a price you can afford. 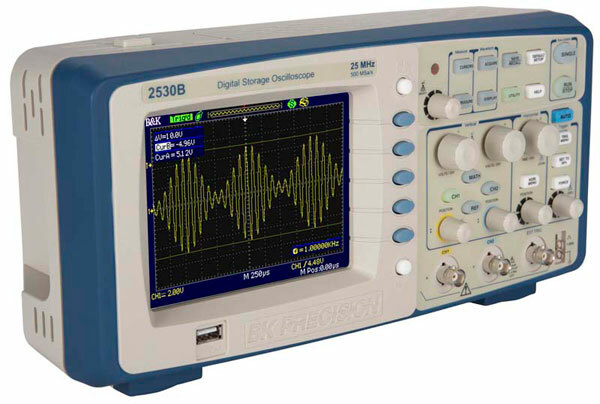 The BK2530B Digital Storage Oscilloscope delivers essential features and reliable performance at a price you can afford. 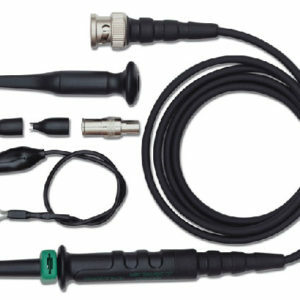 Analog style knobs and controls combined with a smart Auto set function make this oscilloscope easy to use. Advanced triggering, automatic measurements, and FFT functions provide you with many options to debug your circuits. 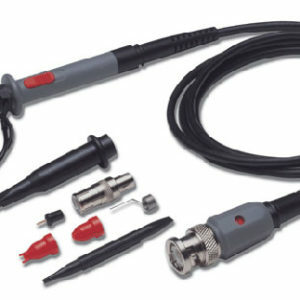 Educators can appreciate the ability to disable the Auto button that would automatically setup the scope to display a signal, requiring the user to learn how to set up scope parameters manually. 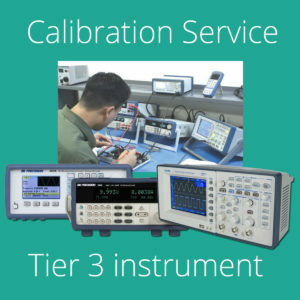 Additionally, the instrument comes with PC software that lets you easily capture, analyze, and document waveforms and measurement results. 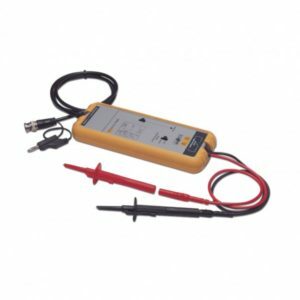 The 2530B is an ideal education and training tool, and also well-suited for applications in service and repair. 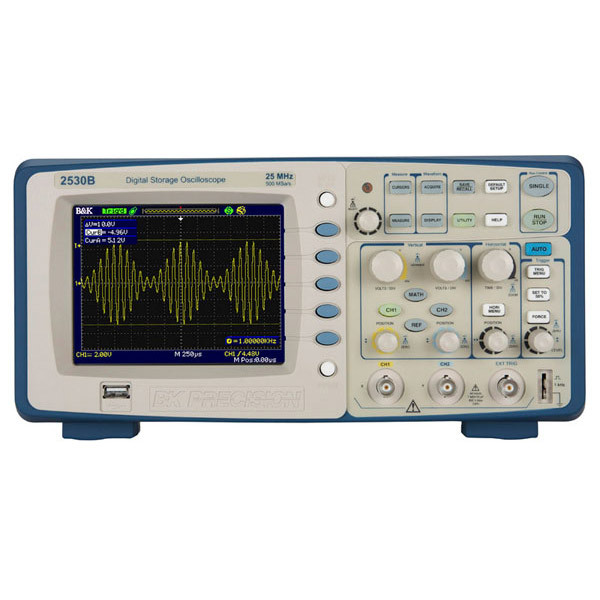 Transfer waveform data screen shots and measurement results to a Windows PC via USB port. 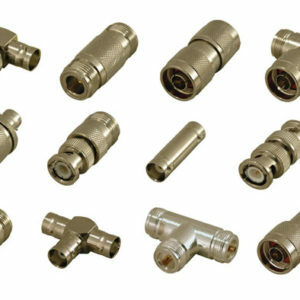 Analyze measurement results off-line or in real-time.